The “male facelift” is quickly becoming a popular procedure among men in their forties and older. Even though many men focus on living a healthy and active lifestyle, the appearance of their face does not always reflect how they really feel. While all men and women experience the process of aging, the areas of the face that are affected most can be quite different between the two sexes. The biggest difference between a male and female facelift is the placement of incisions. Since men usually have shorter hair than women, the incisions cannot be as easily hidden in the hairline. This is where it takes an experienced board certified surgeon like Dr. Terry Dubrow to perform a successful male facelift. To make the incisions as inconspicuous as possible, there are a few different places that they can be made, including in the creases of the ear, beneath the chin, or in the hairline of the sideburns. 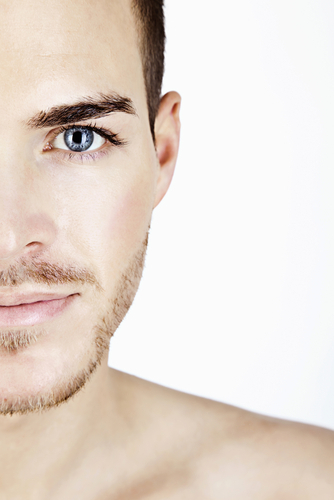 Oftentimes, men choose to combine a facelift with an eyelid lift to achieve total facial rejuvenation. We welcome you to contact Newport Beach practice for all of your cosmetic facial improvements. Dr. Terry Dubrow has helped countless numbers of men restore a youthful look to their face and looks forward to meeting you. To schedule a consultation with our board-certified plastic surgeon, please call (949) 515-4111 or fill out our online contact form today.